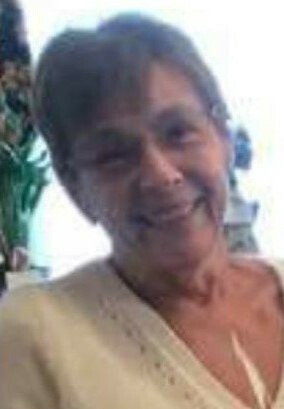 Linda K. Edler, age 68, of Auburndale, Florida, passed away on April 4, 2018 at Winter Haven Hospital in Winter Haven, Florida. Linda was born on June 19, 1949 in Bucyrus, Ohio, to Fredrick Jr., and Katherine (Walter) Stansbery. Her father is deceased and her mother is living in Upper Sandusky. She married Kenneth C, Edler on February 21, 1973 and he passed away on May 22, 2017. She is survived by a daughter, Carla (Shaun) Pahl of Bucyrus, and 4 stepchildren, Terina (Darrin) Park of New Bloomington, Ken (Tina) Edler of Upper Sandusky, Bob (Erica) Edler of Kenton, Tim (Sherry) Edler of Caledonia, along with 13 grandchildren and 8 great grandchildren. Three brothers also survive: Robert E. (Jane) Stansbery of Claremont, NH, Gary L. (Evelyn Everly) Stansbery of Marion, Ohio and Brian T. (Jen Starkey) of Carey, Ohio, as well as a sister, Karen S. (Karl) Powell of Upper Sandusky. Linda was preceded in death by her father, husband, and a daughter Kendra Benson, step daughter, Mary Kay, and great granddaughter Kari Ann. Linda worked for many years at Lowes in Florida. She was a member of the Tampa Bay Boxer Club, where she loved competing in the NADAC, DACOF, and DOCOF with her boxers doing agility and obedience. For hobbies she liked to read, knit, go horseback riding, and relaxing by the beach. Her greatest love and joy was her family, friends and her boxers. Funeral services for Linda Edler will be at 10:00am Wednesday, April 11, 2018 at the Lucas-Batton Funeral Home in Upper Sandusky, with Pastor Johnny Edler officiating. Burial will follow at Nevada Cemetery. Visitations will be held on Tuesday from 2-4pm and 6-8pm at the Lucas-Batton Funeral Home in Upper Sandusky. Memorial contributions may be made to the American Heart Association, or the Alzheimers Association, or the Susan G. Komen Breast Cancer Association. Memorals can be sent to Lucas-Batton Funeral Home, 476 S. Sandusky Ave., Upper Sandusky, Ohio 43351. Online condolences may be sent to www.lucasbatton.com.